A fun way to send birthday wishes! 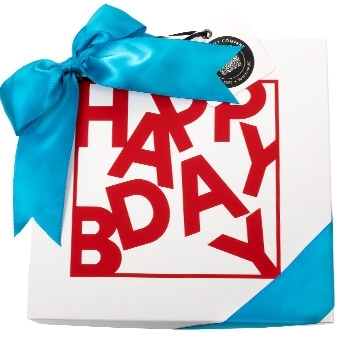 Our Happy Birthday gift box is cheerful and includes a great assortment of snacks to celebrate someone's special date. 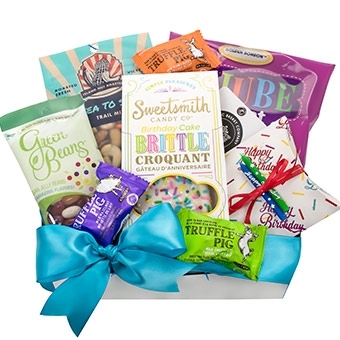 It includes Sea to Sky trailmix, Birthday Cake Brittle from Sweetsmith, jelly beans, London Fog caramels, assorted Truffle Pig chocolates and Jujube nougat bites.